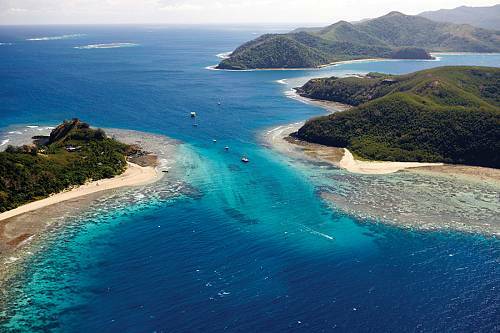 Close but not too close, the Mamanuca Islands here offer wonderful privacy within easy reach (30-120 minute boat ride from Nadi International Airport). The Mamanucas are a chain of 20 islands near Nadi and Denarau. 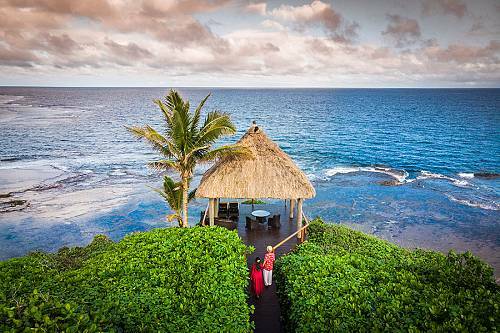 One of the most established resort areas in Fiji, the Mamanukas provide a stunning array of activities for all types of travelers. In surroundings beautiful enough to star in ‘Cast Away’ and ‘Survivor: Fiji’ these islands offer parasailing, windsurfing, dolphin-watching, famous dives such as the Big W and Gotham City, some of the best surf breaks in the world, and just about any other activity you can do on or under water. Young or old, party animal or looking for a family holiday, there’s an island for everyone. 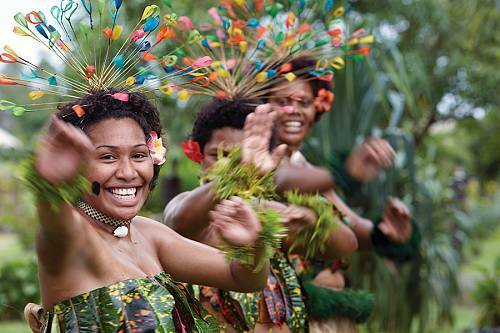 Myth says that Fiji’s story begins about 1500 BC with a voyage of giant war canoes from Taganika north of Egypt. Leading the armada on the giant double hull canoe “Kaunitoni” was warrior Chief Lutunasobasoba with a special cargo – a magical box called the Katonimana (the Box of Blessings). Around Matamanoa, Mana and Likuliku, they met bad weather and the “Box of Blessings” slipped into the water. Lutunasobasoba gave orders to let it go, believing it was the will of the gods. Lutunasobasoba then named the 3 Islands Mata-manoa (meaning “eye of the strong wind”), Mana (“Magic’) to mark the area where the Box of Blessings fell, and ‘Likuliku’ because it was here the armada experienced calm waters again. Lutunasobasoba gave specific instructions that no one was to ever try and retrieve the “Katonimana” and predicted that this group of islands would be a great source of prosperity for the Fijian people in the future. To this day, some believe that this box is still buried. They offer nice beaches, dry weather and beautiful snorkeling. Forested hills drop to secluded sand beaches, perfect for romantic picnics. Take a day trip hopping from one island to the next in this tight cluster. Be sure to stop where they filmed Castaway and check out the wrecked raft featured in the movie.